Huston-Tillotson University FYE Education as the Practice of Freedom Project is an engaging, enlightening, empowering educational experience that will challenge you to critically analyze your purpose for pursuing higher learning and cultivate your passion for living. In our class, you will engage in student centered, interactive activities and robust dialogues about EVERYTHING! So make sure you bring an open mind and prepare to challenge perspectives, to question each other, me and most of all YOURSELF. The purpose of the Capstone Project is to create meaningful connections between what the students are learning and what they are living. Wherein the objective is not simply to help students “master” the tools of reading but empower them to read the world critically (McLaren, 2004). The curriculum speaks to the student’s curiosity about topics that are often marginalized in the dominant curriculum in a voice that is both culturally relevant and critically responsive. It moves beyond typical notions of education, to power discourse critiques, and the real purpose and promise of education- freedom. EPF Project OBJECTIVES The students will engage in critical self-reflection about how their educational experiences have affected their academic engagement and be challenged to pursue their education with a stronger sense of purpose. Students will learn about the psychology of success and how to effectively implement self-empowerment strategy for pursuing their passion, such as: life management, critical literacy and reflection, AVID learning strategies, and more. In addition, our students will also engage in a critical analysis of social and environment justice issues affecting the structure of opportunity ultimately affecting community empowerment, such as: gentrification, de-industrialization, intergenerational poverty, educational inequities, digital divide, policing, environmental degradation, health and wellness, and more. Students will be asked to connect personal to public purpose via proactively responding to our community's needs. Our students will work hand-in-hand with local residents, community service partners, and public officials to engage in asset based community empowerment projects, like: tutoring the youth, feeding the hungry, fixing computers, and planting trees. Each student will be challenged to reflect on the meaning and purpose of the project in hopes that they realize their actions can improve the lives of others and, ultimately, their ability to control their own lives - self-empowerment. This transformative experience will be documented in the creative digital stories of our students and shared with the community at the #Be_HT First Year Experience Summit. VICTORY Tutorial provides one-on-one tutoring to any student living in the Austin area. We provide these services at seven library branches. Inside Books Project is an Austin-based community service volunteer organization that sends free books and educational materials to prisoners in Texas. Inside Books is the only books-to-prisoners program in Texas, where over 140,000 people are incarcerated. Inside Books Project works to promote reading, literacy, and education among incarcerated individuals and to educate the general public on issues of incarceration. Skillpoint Alliance is a 501(c)3 social enterprise that builds partnerships among industry, education and the community, leading to college and career success for Central Texans, while meeting employers’ needs for a qualified workforce. Empower families and impact the youth of Dove Springs through community events and our mentoring programs. 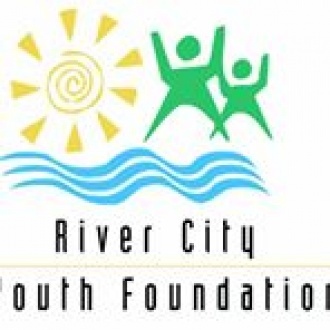 “Through a combination of professional counseling, mentoring, tutoring, hot suppers, nutritious feeding and parent support groups, we’ve been able to reach over a quarter of a million people,” said Mona Gonzalez, the founder and executive director of the River City Youth Foundation. For over 30 years this Austin agency has been committed to helping the people of the Dove Springs Neighborhood to live safe, healthy and prosperous lives. The Dove Springs neighborhood is located on the southeast side of Austin, wedged between I-35 and Austin-Bergstrom International Airport. With approximately 36,000 residents, the area has the largest Hispanic population in Austin and is considered one of the three epicenters for Hispanic growth, according to the City of Austin Demographer’s office. On Feb. 3rd from 1:00-3:00pm the First Year Experience will be hosting an asset based community development (ABCD) training in collaboration with the Community Advancement Network (CAN) of Austin. This workshop will be facilitated by nationally renown expert on ABCD and is open for our students, neighborhood residents, nonprofit agencies, churches and local government interested in discovering the power of Asset Based Community Development (ABCD) to help build stronger, healthier communities and neighborhoods by unlocking the gifts of the residents, associations and organizations.